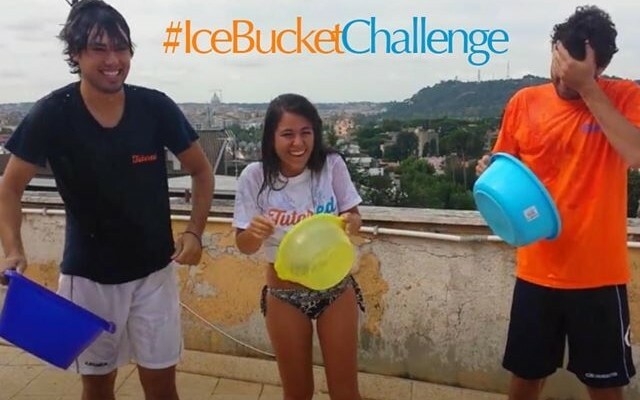 LUISS ENLABS | LUISS ENLABS startups participate in Ice Bucket Challenge! LUISS ENLABS startups participate in Ice Bucket Challenge! It's the middle of August and we have some entertaining and “refreshing” news to share. This summer ALS (Amyotrophic Lateral Sclerosis) Association has launched an Ice Bucket Challenge to support the raising of the funds dedicated to ALS patients and their families. Following the example of most influential figures on the international technology arena (Mark Zuckerberg, Bill Gates, Tim Cook to name a few), our startuppers have stepped in and also participated in the initiative. If you haven’t heard about Ice Bucket Initiative, read more here. if the nominated person does not accept the challenge, she makes the donation to the association. What does ice bucket feel like? Let's ask to Tutored and Filo!